In many cases, environmental stressors like tobacco smoke, pesticides, obesity, and so on cause cancer; however, some breeds can also develop cancer because of their genetic makeup. 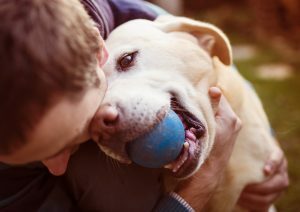 If your pet is displaying any symptoms of cancer or has been diagnosed with cancer, sort below by cancer type or tumor location to learn more about each cancer type and available treatment options for your pet. Click on the links for more specific information on treatment and real patient stories.